A USB FLASH DRIVE is a data storage device that includes flash memory with an integrated Universal Serial Bus (USB) interface. 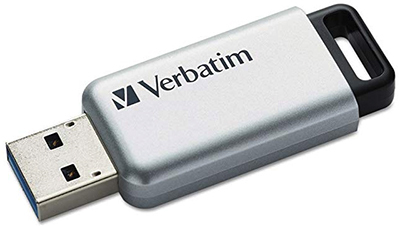 USB flash drives are typically removable and rewritable, and physically much smaller than an optical disc. Most weigh less than 30 grams (1.1 oz). As of January 2013, drives of up to 512 gigabytes (GB) were available. 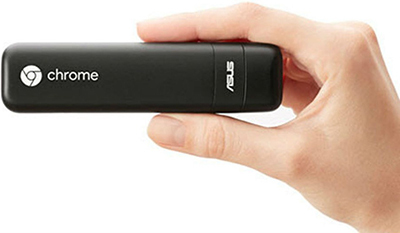 A one-terabyte (TB) drive was unveiled at the 2013 Consumer Electronics Show and became available later that year. Storage capacities as large as 2 TB are planned, with steady improvements in size and price per capacity expected. Some allow up to 100,000 write/erase cycles, depending on the exact type of memory chip used, and have a 10-year shelf storage time. USB flash drives are often used for the same purposes for which floppy disks or CDs were used, i.e., for storage, back-up and transfer of computer files. They are smaller, faster, have thousands of times more capacity, and are more durable and reliable because they have no moving parts. Additionally, they are immune to magnetic interference (unlike floppy disks), and unharmed by surface scratches (unlike CDs). Until about 2005, most desktop and laptop computers were supplied with floppy disk drives in addition to USB ports, but floppy disk drives have been abandoned due to their lower capacity compared to USB flash drives. A MEMORY CARD, flash card or memory cartridge is an electronic flash memory data storage device used for storing digital information. 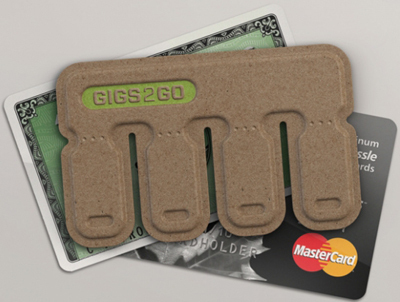 These are commonly used in portable electronic devices, such as digital cameras, mobile phones, laptop computers, tablets, PDAs, portable media players, video game consoles, synthesizers, electronic keyboards, and digital pianos. MEMORY STICK is a removable flash memory card format, originally launched by Sony in late 1998. 7 Cheap USB Flash Drives (Under $10), Ranked Best to Worst - Laptop Magazine. 9 Best USB Flash Drives to Buy in 2018 - "Transfers files and documents at the drop of a hat." 10 Best USB Encryption Software to Lock Your Flash Drive (2017) - TechWiser. 2018 best USB flash drives - TechRadar. Best USB 3.0 Flash Drive for 2018 - Reviews by Wirecutter. Best USB Drive 2018: Portable Flash Drives & Memory Sticks - Tech Advisor. Flash Drives For Macbook Pro - Best Buy. Ironkey - brand name of a family of encrypted USB portable storage devices owned by Kingston Digital, the flash memory affiliate of Kingston Technology Company, Inc.
iStick: World’s First USB Flash Drive for iOS Devices - allows you to easily, quickly and safely move data between computers, iPhones, iPads and iPod touches without the need for Internet, wireless networks or the Cloud where hackers and others (e.g. 3rd party server operators) may gain access. LEXAR JUMPDRIVE C20I FLASH DRIVE - Wired Review. SanDisk’s prototype 4TB flash drive is the biggest one ever - "Tons of storage, tiny size (relatively speaking)." 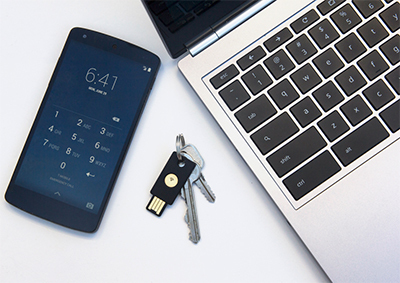 THE NEW YUBIKEY WILL HELP KILL THE PASSWORD - Wired. 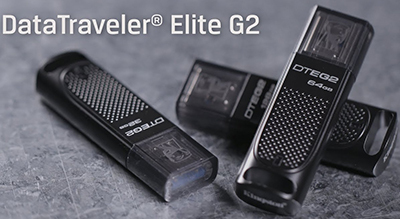 world’s new largest flash drive is the 2TB Kingston DataTraveler Ultimate GT - The Verge. Adata - since 2001. "ADATA USB Flash Drives offer a reliable solution to store and share your documents, photos, videos and music." All models. Corsair - since 1994. "Storage: Incredible Speed. Rock Solid Reliability." All models. CRUCIAL - since 1978. 16GB Crucial Gizmo! TwistTurn USB 2.0 Flash Drive. Custom USB - since 2006. "Bulk Custom Flash Drives & Personalized Custom USB Drives Branded." EDGE - since 1986. All categories & models. Hammacher Schlemmer - since 1848. "The Instant Backup Smartphone Photo Vault." This is the pocket-sized device that plugs into a smartphone’s or tablet‘s charging port and automatically backs up photos using a free app. The easy-to-use data vault works like a flash drive and copies JPEGs, TIFFs, PNGs, BMPs, GIFs, and more without password set-up or a subscription fee. It automatically skips duplicates and requires no Internet connection. Hammacher Schlemmer - since 1848. "The YouTube Video Vault." This is the flash drive that enables one to save YouTube videos without using storage space on a device. 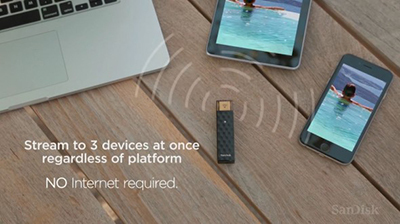 About the size of a matchbox, it plugs into an iPhone, iPad, or iPod via its lightning connecter, uses an app to view content from YouTube, Facebook, or Instagram, and stores it on a microSD card. HermÈs USB key - since 1837. 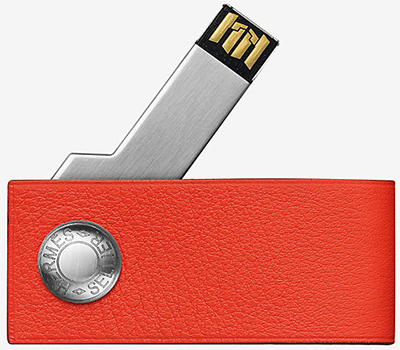 16GB USB key in Swift calfskin. HP - since 1939. USB Flash Drives. All models. INTEGRAL - since 1989. USB Flash Drives & Memory Cards. All models. KINGSTON - since 1987. "USB Flash Drives for Consumers, Businesses & Enterprise. Personal Drives & Encrypted Drives. All models. 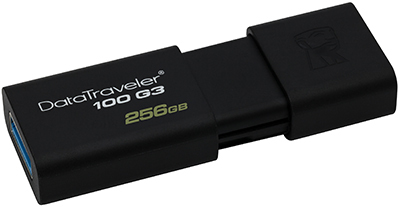 Kingston DataTraveler 100 G3 Pen Drive USB 3.0 - 8GB - 256 GB. LaCie Portable SSD with USB-C - since 1989. "Capture Your Vision in a Flash." Experience fast editing, backups, and transfers with full-throttle speeds of up to 540MB/s. Store high-res source files, images, and video. And enjoy universal compatibility across Mac, Windows, USB-C, and USB 3.0. LaCie Portable SSD is more than a compact external solid state drive. It’s reliable, forward momentum in every possible way. LEXAR - since 1996. "When Memory Matters." USB Flash Drives, Memory Cards & SSD. Patriot - since 1985. USB Flash Drives. All models. PNY - since 1985. 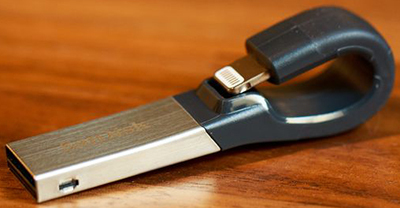 "Do more with USB & OTG Flash Drives from PNY. Available in a variety of styles to meet all your storage needs." Flash memory cards, USB flash drives & solid state drives. PQI - since 1997. USB Flash Drives, Flash Cards & SSD. Samsung - since 1938. "USB Flash Drives - Memory Storage." USB Flash Drives, Memory Cards & Solid State Drives. SANDISK - since 1988. "Music, photos, videos, personal and business files - these days we want access to our stuff wherever we are. With a SanDisk USB flash drive, now you have it." 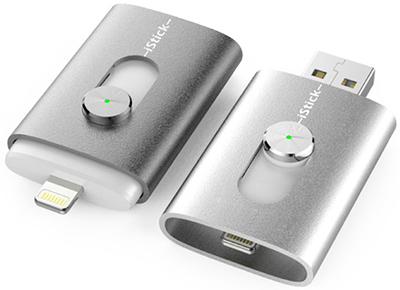 SanDisk iXPAND Flash Drive - "Extra Storage for Your iPhone and iPad." 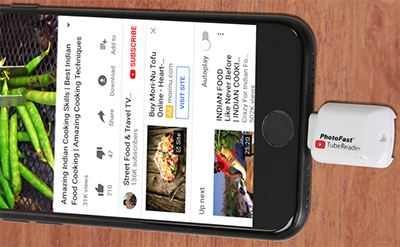 Designed to be the perfect companion for your iPhone, the iXpand Flash Drive offers an easy way to free up space on your iPhone, automatically backs up your camera roll, and even lets you watch popular-format videos straight from the drive. The drive has both a flexible Lightning connector that works with most cases and a USB 3.0 connector to plug into your Mac computer or PC so you can easily move your stuff where you want it. Sony Micro Vault - since 1946. USB Flash Drives. S.T. DUPONT - since 1872. Neo-Classique President Magnetisme USB Black Fountain Pen. TRANSCEND - since 1988. USB Flash Drives. VERBATIM - since 1969. "Technology you can trust." Everyday USB Drives & Professional USB Drives. 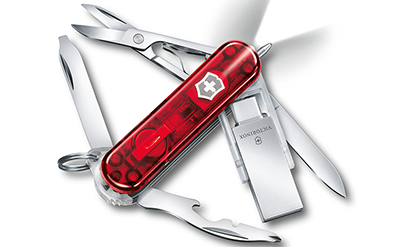 VICTORINOX Midnite Manager work in red transparent with 3.0/3.1 USB Stick - since 1884. "Embedded in this piece is a pivoted and removable 3.0/3.1 USB that provides 16 GB of storage in addition to the knife’s 11 practical functions. So whether you're at home, at the office or out on the road, this pocket knife will meet your needs."